Compared with passive RFID, what're the advantages and disadvantages of active RFID? Advantages: Passive RFID relies on RF energy transferred from the reader to tag to power the tag and the signals returned were so low that limit its communication range to 10 meters and appear signals leak phenomenon where too many signals co-exist in the field whereas active RFID uses an internal power within the tag to continuously power the tag and sends strong signals out actively up to 100 meters and can be read 100%. Additionally, active RFID take advantages in communication range, multi-tag collection compatibility, ability to add sensors and data logging, and many other functional parameters. In application, passive RFID is only suitable for short range locating, assets constrained motion tracking, but active RFID can used in long range dynamic locating, assts free motion tracking, security guard and other information logging if sensor tag. In future RFID application, active RFID will play a more and more important role in the logistics and RTLS. Disadvantages: Compared with passive tag, the cost of active tag is expensive, about tens of US dollars. Though, if apply those to valuable items, such as computers, air-conditioners, precious watches, gold and jewellery, or used again and again, its comparative cost lowers with. And the active RFID reader is much cheaper than passive RFID reader, generally a passive RFID reader costs more than a thousand US dollars, whereas the active one only need hundreds US dollars. Thus, in a project, the larger a project, the more obvious cost advantage active RFID would be. Does active RFID wreck one's health? Active tag developed by BISA uses an internal battery to continuously power the tag to send signals, thus the reader power decrease to 50mA/12V, which cannot be realized by passive RFID. The radiation of electromagnetic field brought about by the super low-power active tag never makes any danger to one's health. Take radiation of mobile phone for example, according to US investigation, the largest radiation mobile-Motorola L6, is 1.58W/kg, and the top 10 mobile radiation is all higher than 1.5W/kg. It's verified that once radiation is larger than 1.4W/kg, it will damage one's DNA. Though, the active tag current is 1mW, and the radiation spread is close to the background radiation of natural environment, which is safe for one's health. Can the active RFID used in highly flammable, explosive item management? 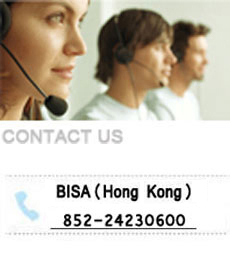 BISA has design a gain adjustable reader and user can adjust the largest communication range according to actual needs.